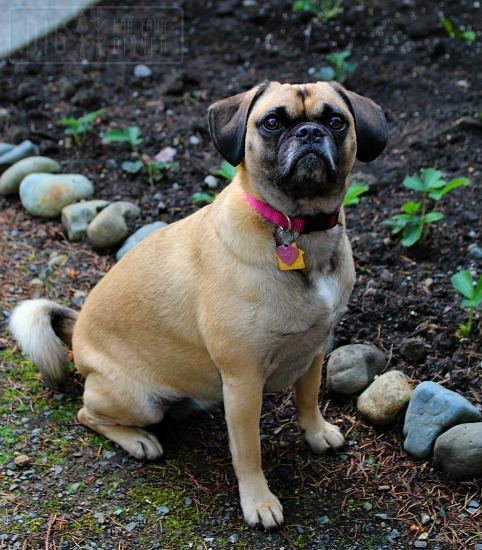 Yesterday Lucy the puggle princess and I were up and out the door by 6:30 and ready to pull weeds. I absolutely LOVE working in the yard as the sun comes up and the birds are chirping their songs. 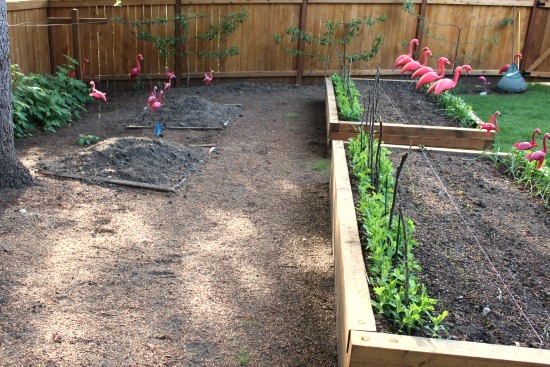 The lasagna garden I started building last fall is coming along nicely. I ditched our yard waste bin months ago and haven’t looked back. I knew when we bought this house I wanted to build up this area in the backyard and plant a perennial flower bed. But having to haul in soil and buy fully grown plants would have cost a pretty penny. By going the slow and steady route, I should have this area completed later this fall thanks to all the leaf litter, grass clippings, compost and pine needles I’ve been able to collect for free through general maintenance of our property. 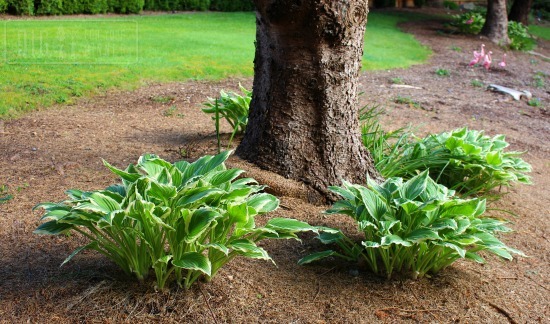 All the hostas have opened up! 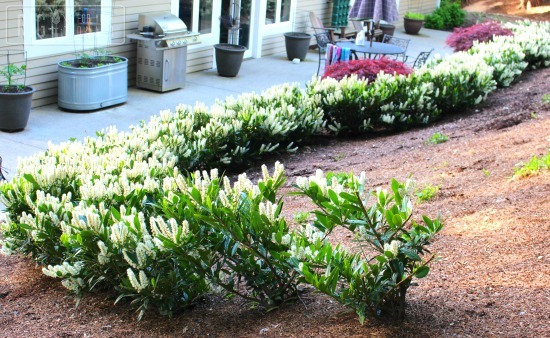 And the laurel hedge is in full bloom. And now all that’s left to do is sit back and wait for the warm weather to stabilize so I can get the beans and squash planted. Yee- Haw! Spring is here. All over its looking gorgeous. While I did not get up anywhere close to 6.30am, we did spend a lot of today in the sunshine in the vegie patch! Its gone from end of season scrappy, to gorgeous lush red dirt (with a few leftover patches of vegies like carrots, beetroot & tomatoes. Seems like it was a great Sunday all over the world to be in the garden! I love Lucy and adore pictures of her. I wish I had a fenced in yard so that my Beagle, Little Bit, could run loose when I garden. I take her with me but have to secure her leash to a tether. She loves going outside with me and can walk around for a good distance that way. 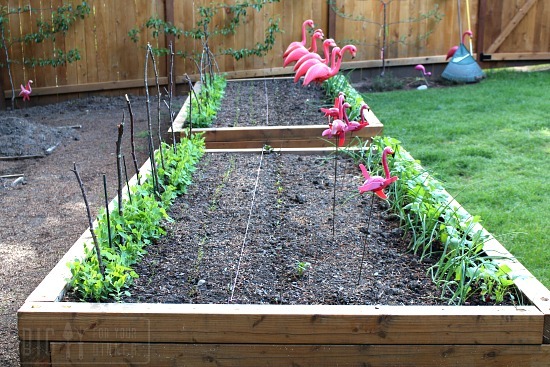 I’m fortunate to have raised beds since I live in an apartment that management graciously allowed me to put in the raised beds. This year I hope to gift them with tomatoes as I went a little overboard in planting them. It’s time to make chow chow late this summer though to enjoy with dried beans this winter. Please, please keep the pics of Lucy coming. It just makes my day when I see her. We had trouble with pine needles in our compost. Could have been the pine cones too – but neither composted. 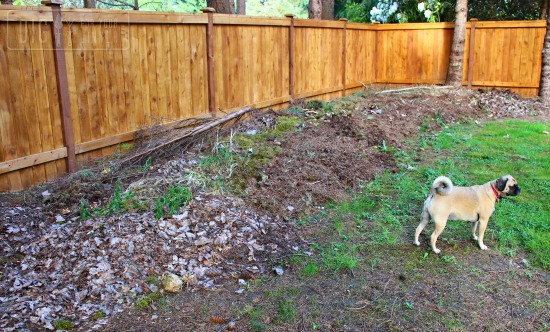 You mentioned pine needles in your compost. Have you been successful with them? If so did you limit the amount or??? ?